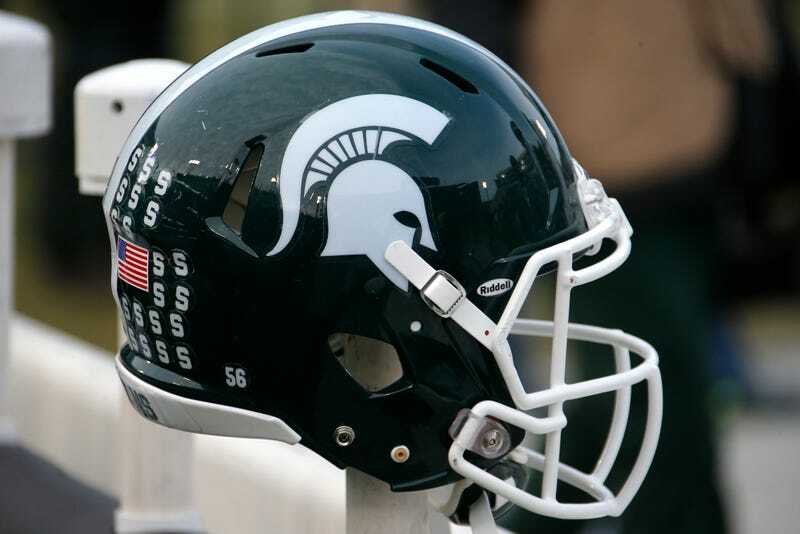 Michigan State suspended three football players and one staffer Thursday afternoon, revealing in a press release that the four unidentified team members are currently being investigated by the university for a sexual assault reported in “late January.” The school police department is currently heading the investigation; should they move forward with charges, the Ingham County prosecutor will take the case. All three players were removed from their dorm housing Thursday and are barred from attending team activities. The school also announced it has sought the services of an “external law firm” to look into whether the football staff followed school policy; a separate Title IX consultant, Rebecca Veidlinger, was also hired to investigate whether any staff or students violated the school’s Relationship Violence and Sexual Misconduct policy. If you know anything about the situation, contact nick.martin@deadspin.com or tips@deadspin.com.